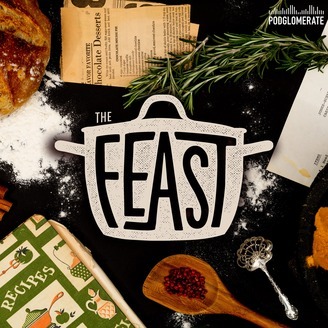 The Feast presents delectable stories from the dining tables of history. Every two weeks, we immerse you in the sights, sounds, & tastes of a meal from the past. Make bread with medieval monks; share a martini with Churchill. Find out what wars were won & which kingdoms were lost, all for the sake of a good meal. Email suggestions for shows to thefeast@thefeastpodcast.org. This week, The Feast is heading back to ancient Rome to do a little culinary archaeology. We’re rolling up our sleeves to make a first century dessert recipe courtesy of one of the most famous Roman cookbook writers of all time, Apicius. Although this sweet cheese and biscuit recipe, known as hypotrimma with spelt biscuits, may look like your standard cheese dip, this concoction has a few "fishy” ingredients hidden up its sleeve. While we bake, we’ll explore what makes Apicius so remembered among the Roman cookbook authors. We’ll also see whether this ancient dish has some modern equivalents. Want to make the recipe with us at home but not up on your Latin? Experimental archaeologist and food history, Farrell Monaco (TavolaMediterranea.com), has not only translated the Latin but has reimagined the recipe for a 21st century kitchen. See you in the culina! 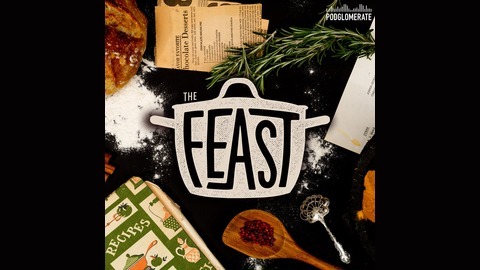 The Feast is part of the Podglomerate Network.